Philippines and Japan are geographically speaking, very proximate. school students and the general public. Saint Louis University - July 4 & 5 – Auditorium, 9F, Devesse Bldg. year – so we decided to have it again this year - 2011.
branches to make dreams come true. paper craft and Tanabata bamboo tree decoration. the most updated culture in Japan. Date/Time : July 23 (Sat) – 7:30 a.m. 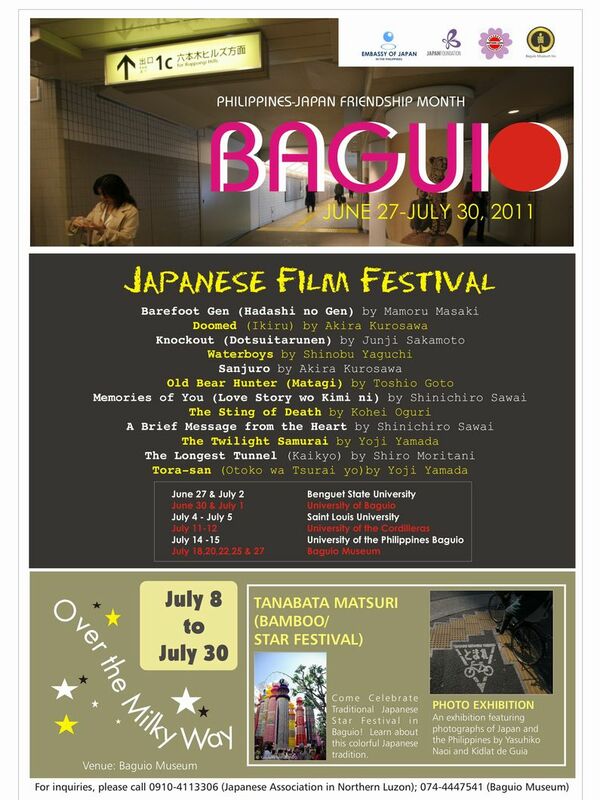 Host : Filipino-Japanese Foundation of Northern Luzon, Inc.
Special thanks to : Color World Baguio. of the Japanese earthquake and nuclear disaster.